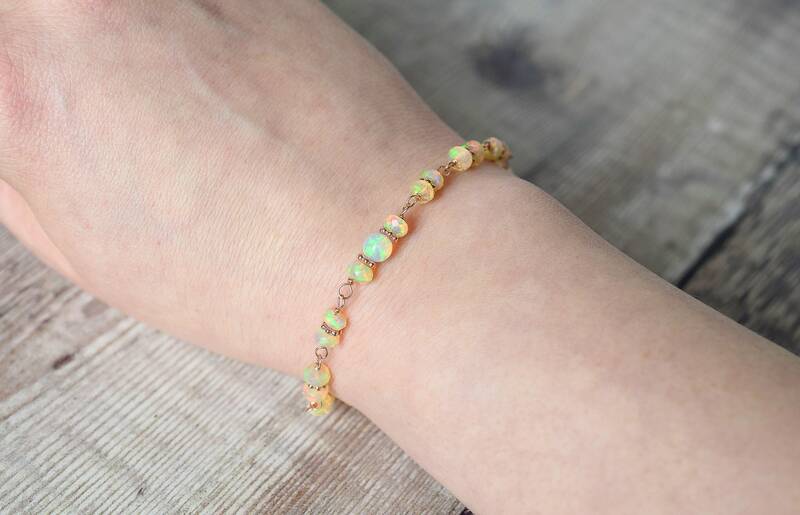 This beautiful beaded Ethiopian Opal bracelet is made with natural Opal rondelles and a central Opal ball. 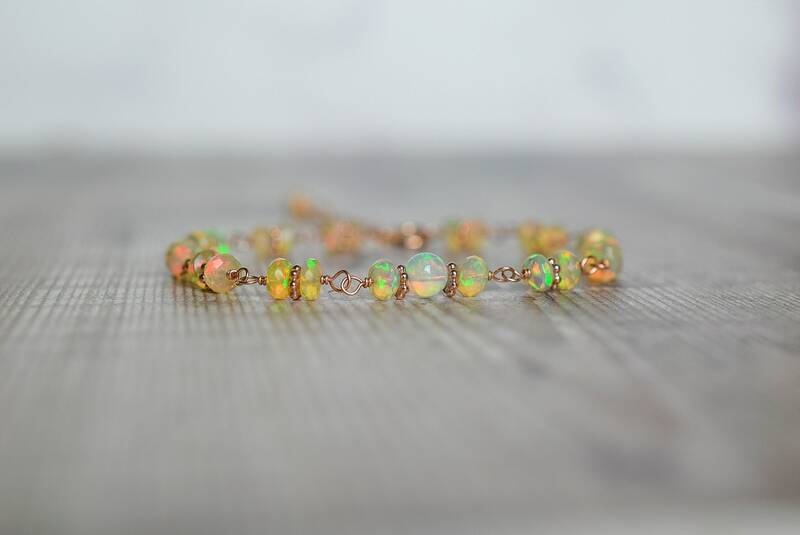 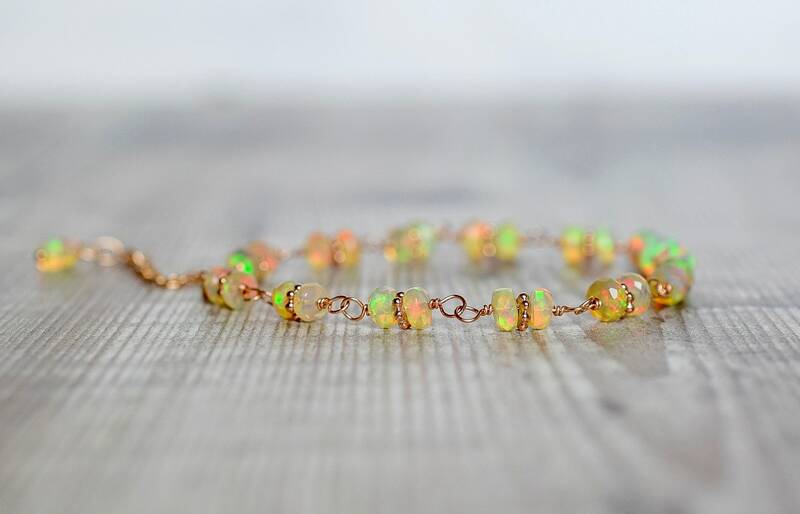 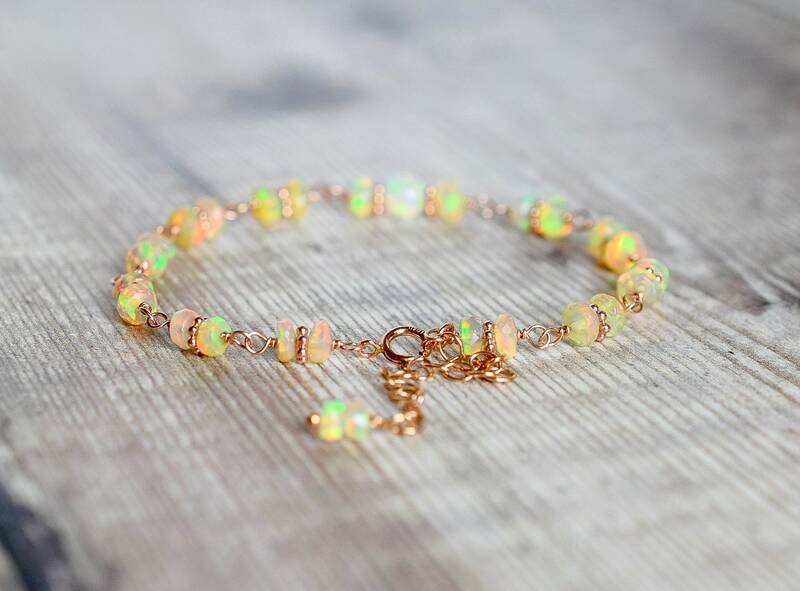 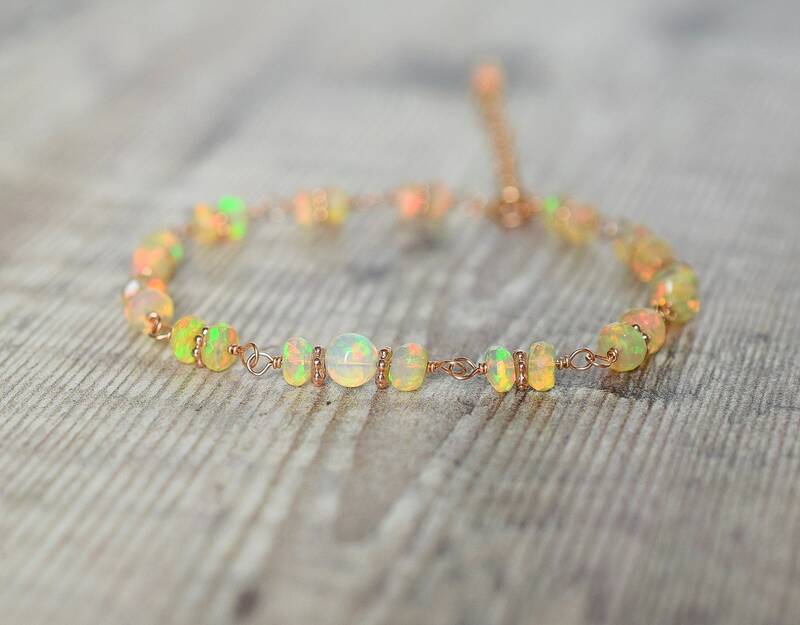 The Opals are faceted and wonderfully fiery with lots of colourful flashes! 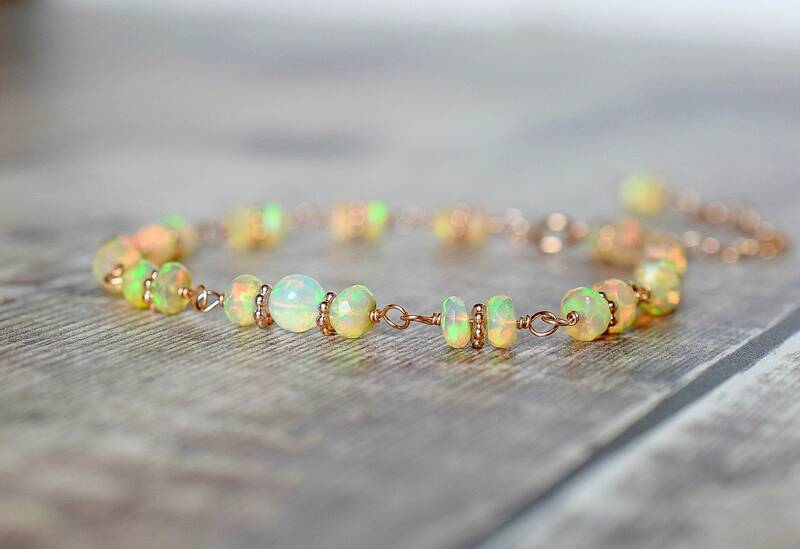 I have wire wrapped these gorgeous Opals together in 14k rose gold filled wire and the bracelet fastens with a 14k rose gold filled spring ring. 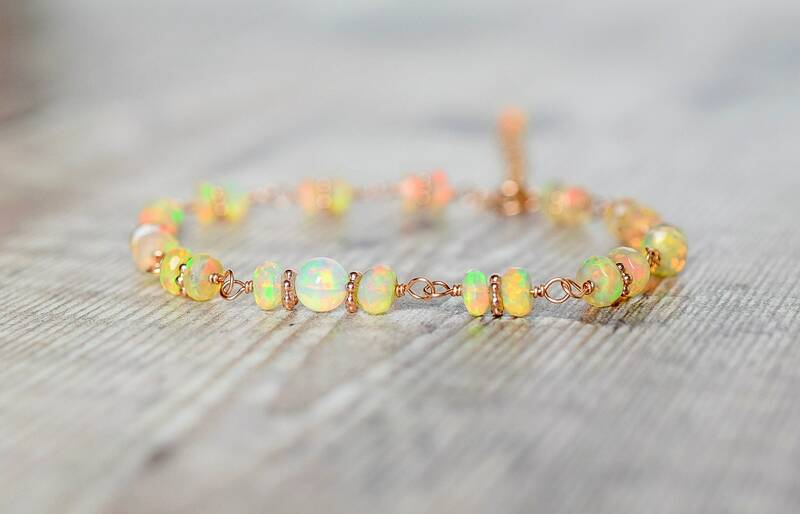 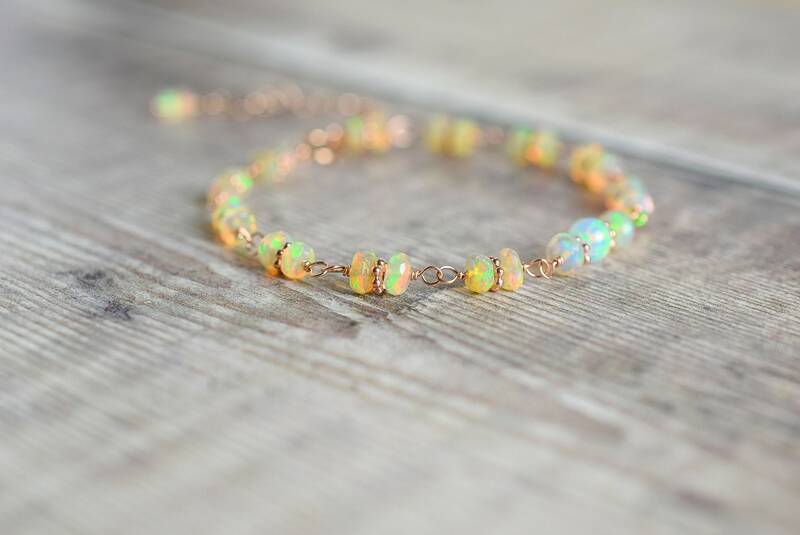 Elegantly simple, this Opal bracelet is perfect for any occasion! 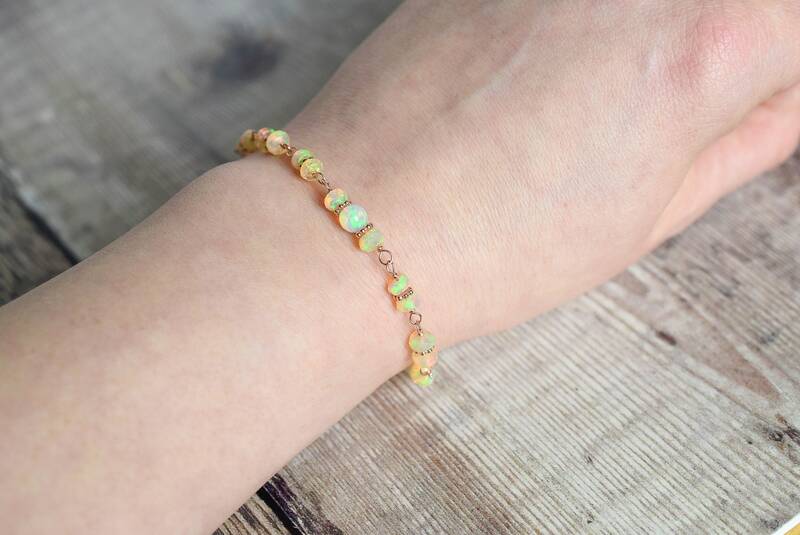 * The Opal beads measure 4.5-5mm. 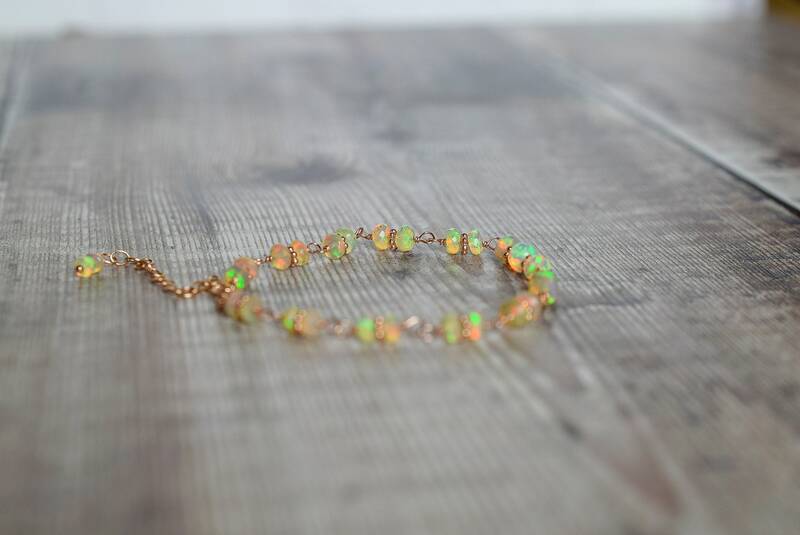 Your jewellery will arrive in a beautiful Saturnalia Jewellery gift box.